When you're looking for a storybook town to raise a family, it's impossible to overlook Fairhope, Alabama. Located on the eastern shores of Mobile Bay, this small city offers a thriving arts community, a multitude of outdoor activities and some of the top-ranked schools in Baldwin County. Listed as a Top 10 Place to Raise a Family in Alabama by Niche.com, you're never far from the water. For families seeking an active lifestyle, there's no better place to call home. If you haven't discovered sailing, you're moving to the right city. The Fairhope Yacht Club offers a picturesque spot on Mobile Bay where junior sailors are taught how to raise their sails and navigate their vessels. They learn the lifelong skills of teamwork and an appreciation for the water. The calm waters of the bay are also ideal for kayaking and kite surfing. Families considering a home for sale in Fairhope, will also enjoy the Fairhope Municipal Pier and Park. Generations of families have fished from the pier and spent afternoons playing in the beachside park. When you're not enjoying the great outdoors, budding artists will enjoy an afternoon at the Eastern Shore Art Center. Resident artists offer pottery and drawing classes designed specifically for children. Adults aren't left out, either. The center also offers classes for mom and dad. When you're raising a family, education ranks at the top of most family's lists of requirements for potential cities. Homes for sale in Fairhope offer some of the best performing schools in Baldwin County. In fact, Fairhope High School is one of only two schools in the county to offer the International Baccalaureate program. The program boasts an intensive course of study for high achievers. If your favorite way to spend a weekend is at the ball park, you'll enjoy living in the city of Fairhope. 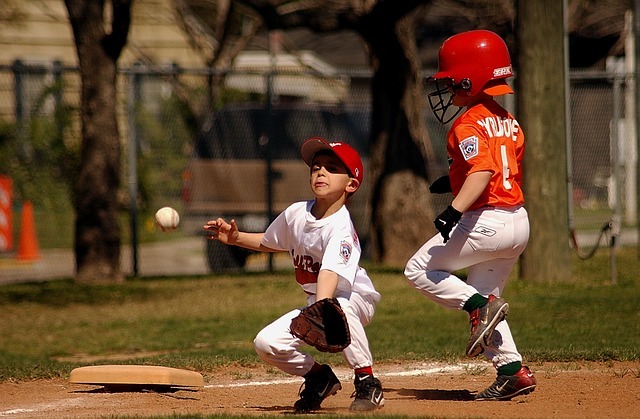 The city boasts an assortment of recreational leagues, including baseball and soccer. It's not uncommon for teams from the Fairhope Youth Baseball League to compete in the Little League World Series held in Orlando during the summer months. 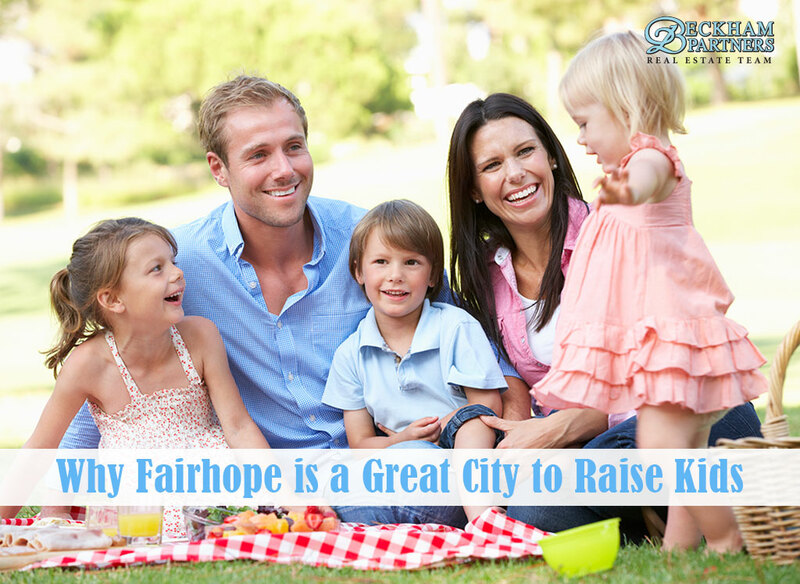 As if athletics, education, outdoor living and the arts weren't enough to convince you Fairhope is the ideal city to raise a family, consider their many community events. Mardi Gras. In Fairhope, residents are treated to a family-friendly Mardi Gras season, complete with parades through the downtown city streets. Christmas. Each Christmas season, the city of Fairhope holds its annual tree lighting event. Families are treated to live entertainment and activities as the city lights up the streets with tens of thousands of Christmas lights. Eastern Shore Arts and Crafts Festival. Held each spring, this event welcomes artists from all over the country. 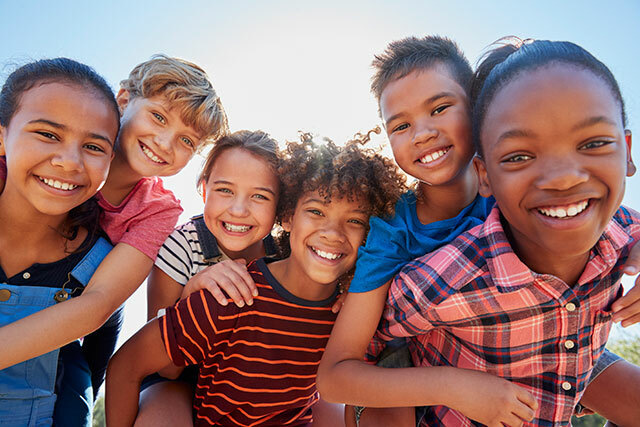 Families will enjoy strolling the streets of downtown Fairhope, partaking of fresh-squeezed lemonade and eating unique festival food. Whether you're in the market for a Fruit and Nut District cottage near Mobile Bay, or a large home in a family-friendly neighborhood, the real estate professionals at Beckham Partners can find the perfect home to fit your family and your budget. Browse our latest listings and give us a call to find your Fairhope dream home.